- Measures battery parameters such as individual cell voltage, string voltage, battery current, cell terminal / ambient (room) temperature. - Transmits data to a centralized control room/ remote location through Ethernet/RS485/TCP/GPRS. Battory monitoring system has inbuild W-Fi and /or USB logging facility. One device has 5 battory connection provision . Battory voltage from 3.3 V to 48VDC. Xantrex or TBS Battery monitors, one of the accessories of DC system used in power systems. These are able to monitor two sets of independent batteries with different parameter settings. By confirming the exact demands and requirements of the customers, we are offering a wide array of customized Battery Monitoring System. This Battery Monitoring System is extensively acclaimed for its high reliability and perfect finishing. 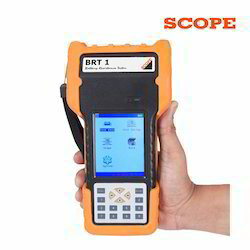 Also, it improves the reliability of the system and the safety of testing.